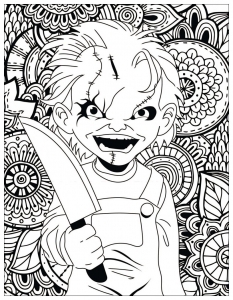 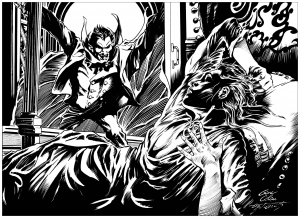 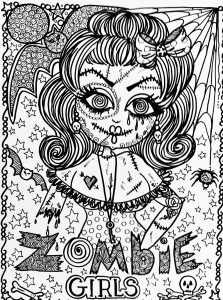 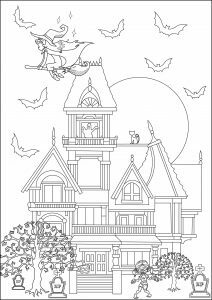 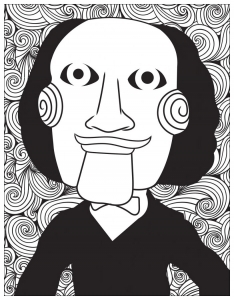 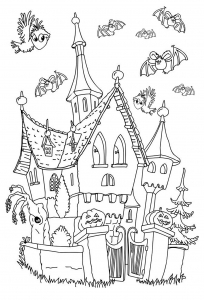 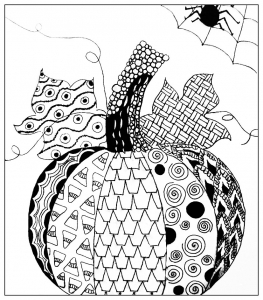 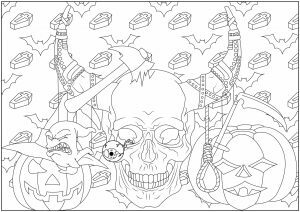 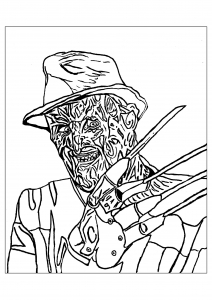 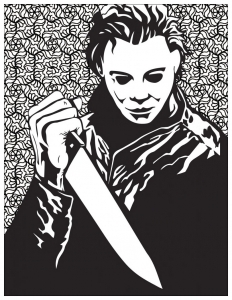 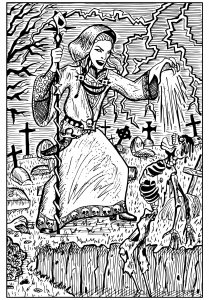 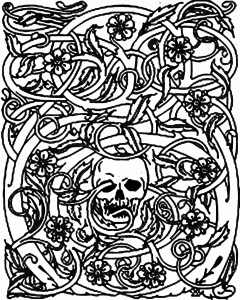 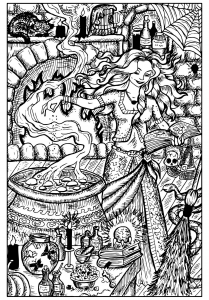 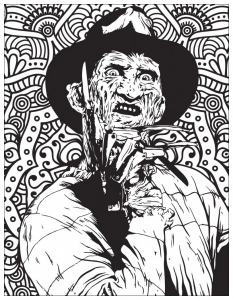 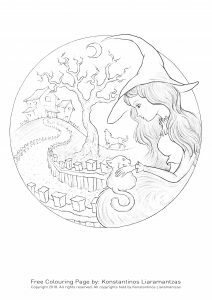 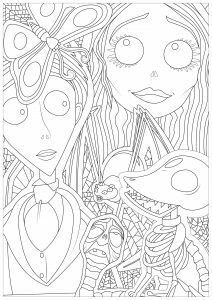 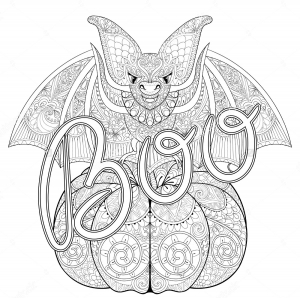 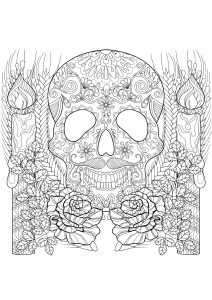 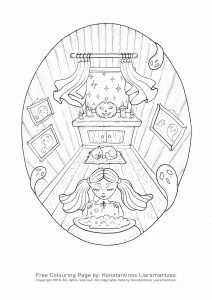 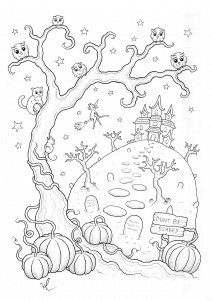 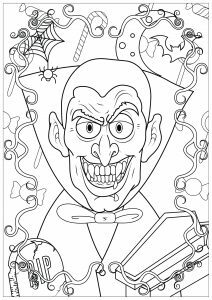 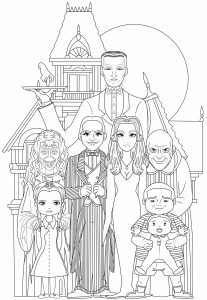 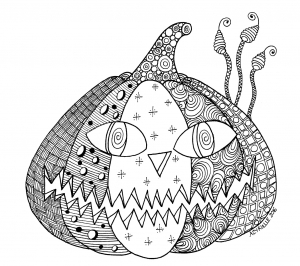 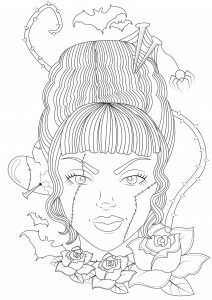 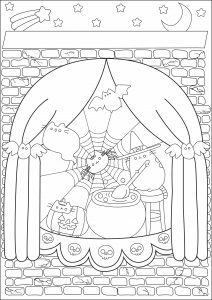 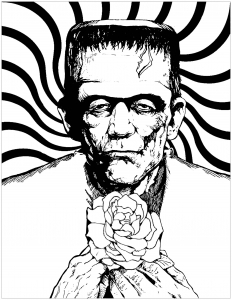 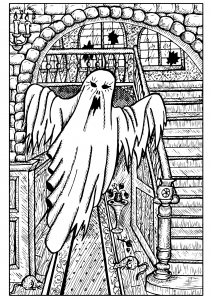 Here are our Halloween coloring pages for adults (or talented kids !). 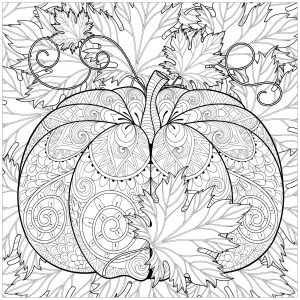 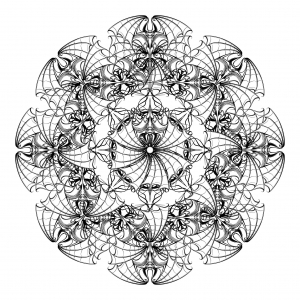 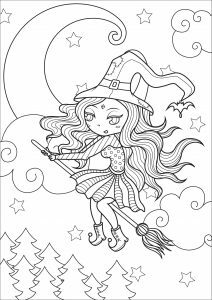 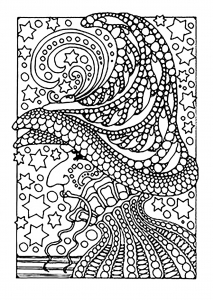 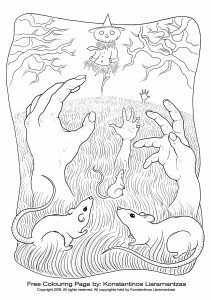 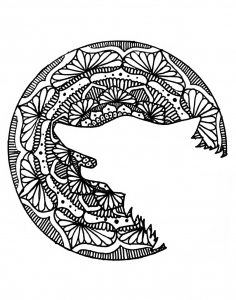 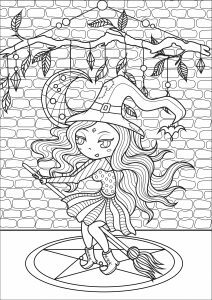 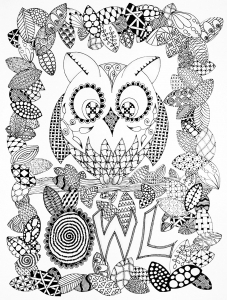 Like our other coloring pages, our drawings of this theme are from different artists, with different styles (cartoon, zentangle, doodle, mandala ...), and all difficulty levels. 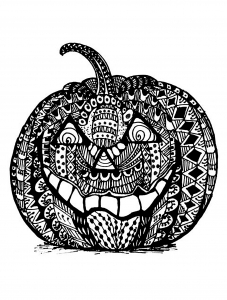 Don't be too scary and prepare your pens and pencils ! 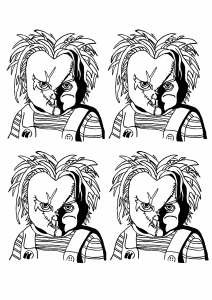 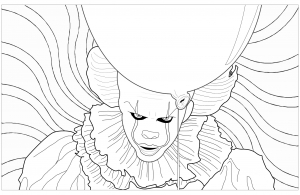 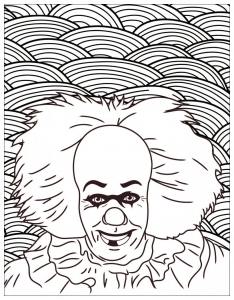 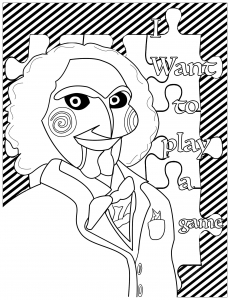 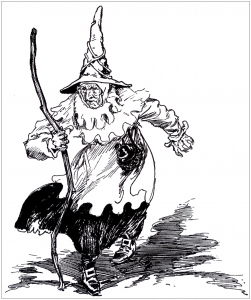 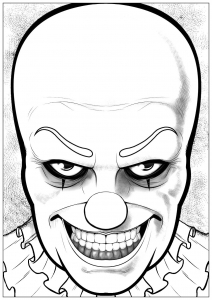 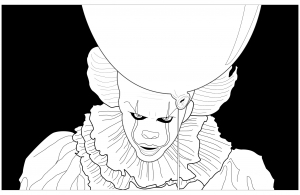 Would you dare to color this horrible Pennywise, the clown from "It" ? 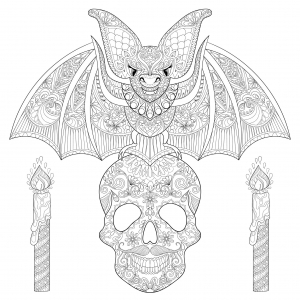 Beautiful bat on a skeleton skull, with candles. 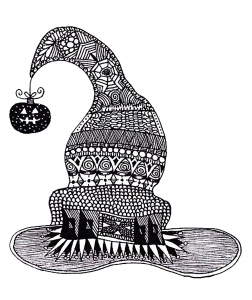 Each elements are full of maleficent patterns. 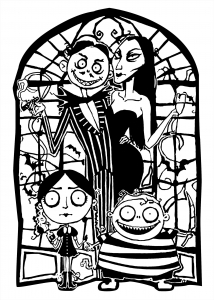 The whole Addams Family : Gomez and Morticia Addams, their children Wednesday and Pugsley, Uncle Fester and Grandmama, their butler Lurch, the disembodied hand Thing, and Gomez's Cousin Itt. 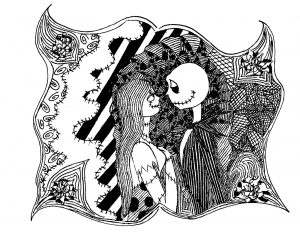 Color Jack Skellington, King of Halloween Town. 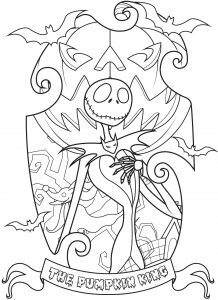 He's a character and the main protagonist of the 1993 film The Nightmare Before Christmas by Tim Burton. 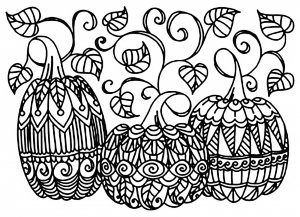 Three Pumpkins to print & color ... 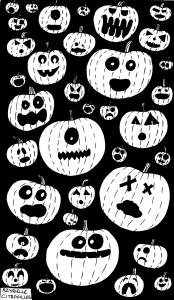 It's Halloween !